We're officially wrapping up 2017 prom season here in Nashville, and we've got a few of our favorite highlights + local recaps for your below. 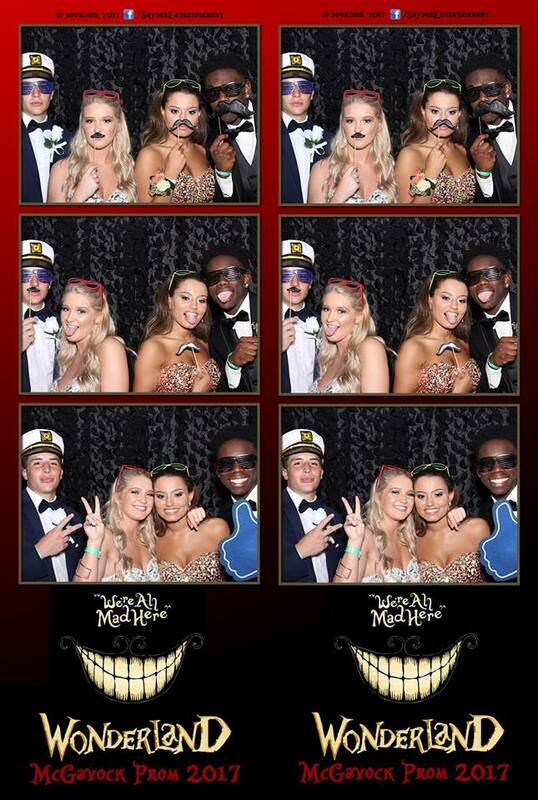 Turn up your favorite high school daze hits, take a peek at all the pretty pictures, and read about the dance floor fun below. 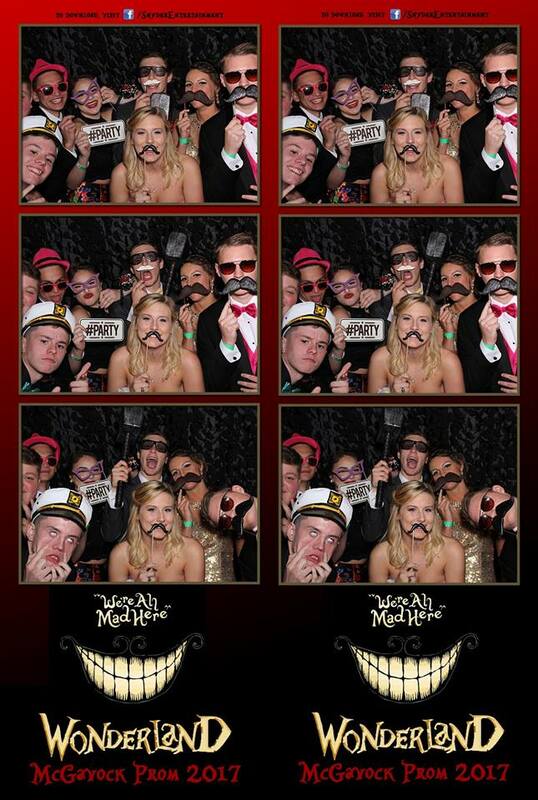 Lastly, here's an exclusive look into a recent private corporate party that we helped to produce with Hello! Nashville and Hewlett Packard to celebrate their employees, vendors, and kick off the festive fair season with a faux fête right here in Music City!.. Our 7th year to be a part of McGavock High School prom and the timeless Gaylord Opryland Resort & Convention Center was our backdrop. 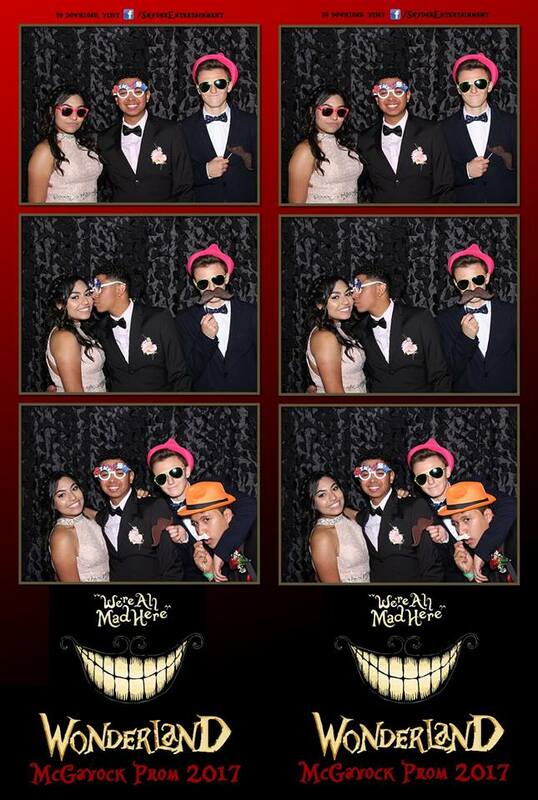 Our team provided DJ services, dance lighting and our open air photo booth. 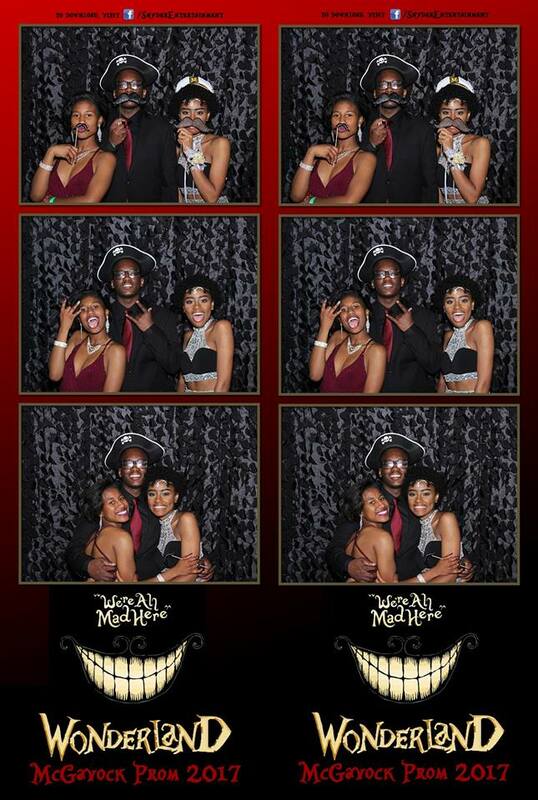 Kam Patterson on our team was the perfect fit for McGavock's prom this year, and he knocked it out of the park! Kam's song choices and mashups included several songs that the students sang word for word including the Fresh Prince of Bel-Air theme song, Broccoli by DRAM, No Problem by Chance the Rapper, and Mask Off by Future to name a few. The students were dancing and jumping to the point that Kam's computer was shaking on the stand to songs by Black Eyed Peas, Calvin Harris, Pitbull, and so many more. The theme was very cool Alice in Wonderland/Mad Hatter. T-shirts were given out to students that glow in the dark, and our custom designed template overlay for our open air photo booth was the icing on top. This prom was an incredible time, and we loved seeing the teachers and principle interacting with the students and dancing. Kam sends a special shootout to the students who stuck around for the epic mix at the end of the night after the presentation. A few quick transitions between some very popular hip hop songs had the students out on the dance floor grooving until the end! 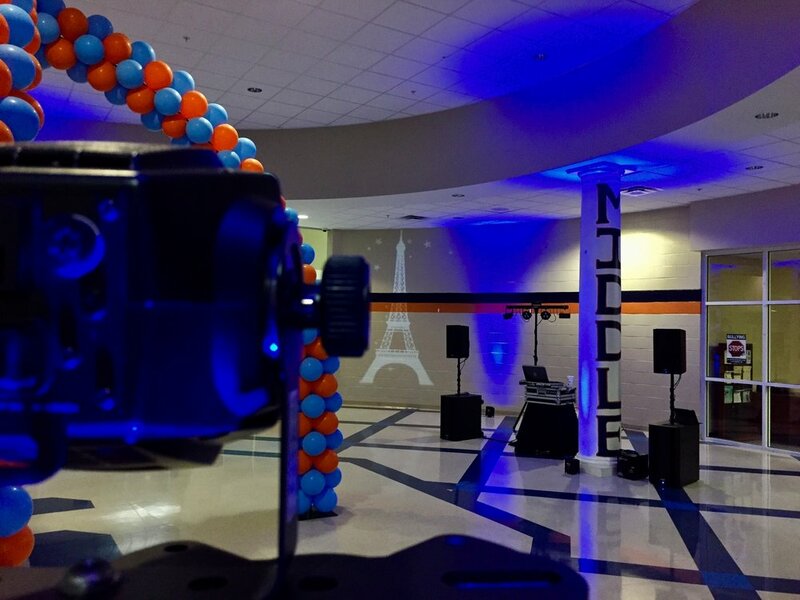 We love partnering with McGavock High School for an incredible night with a packed dance floor and the student body is one of the classiest around. Thanks for having us out once more, we're looking forward to seeing what we can create together! 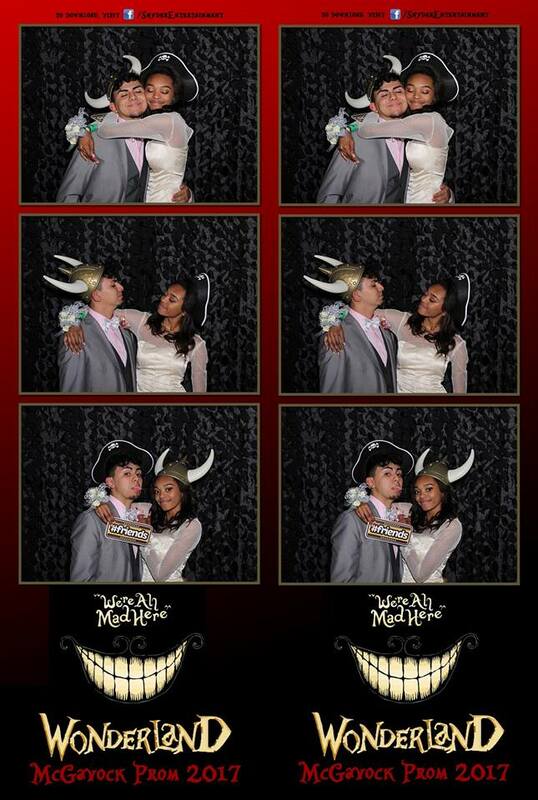 We had another fantastic time at Franklin High School's prom this year! 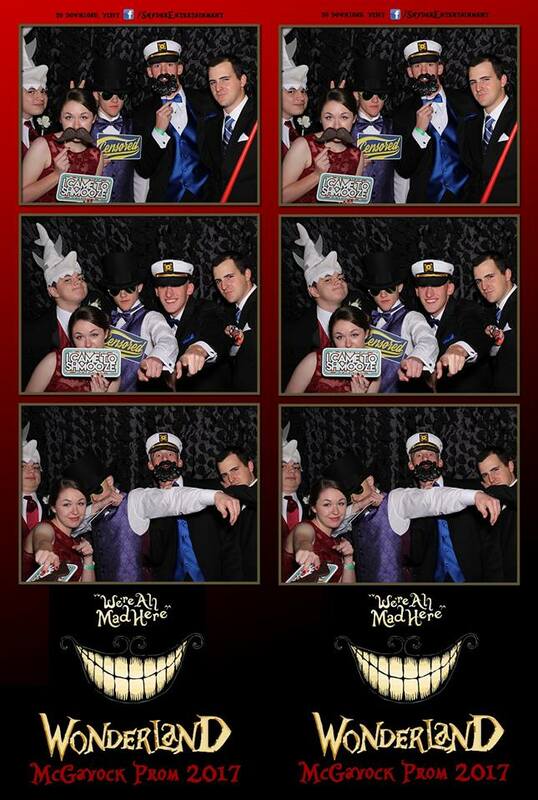 Snyder Entertainment has been a part of Franklin's prom for 15 years! 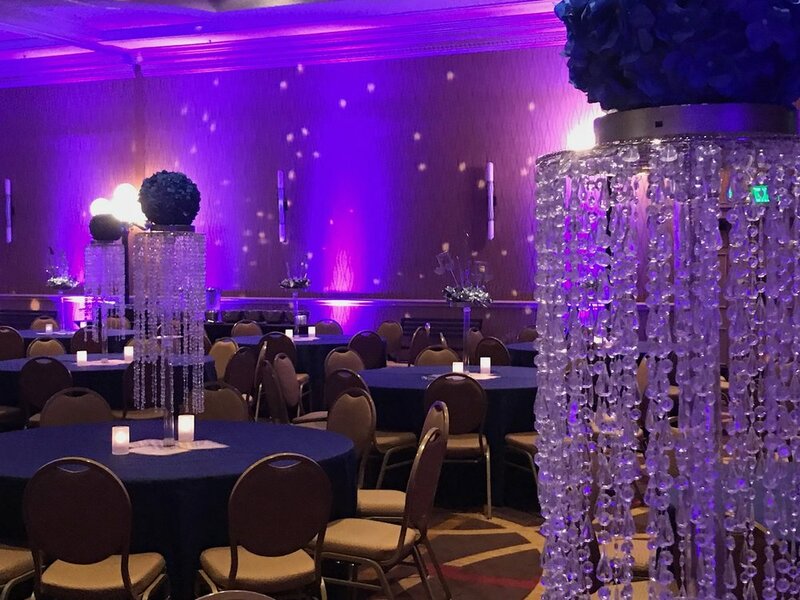 This year was a creative and crafted setup using exclusive lighting for decoration and ambiance as we transformed a ballroom at Gaylord Opryland Hotel through custom lighting. 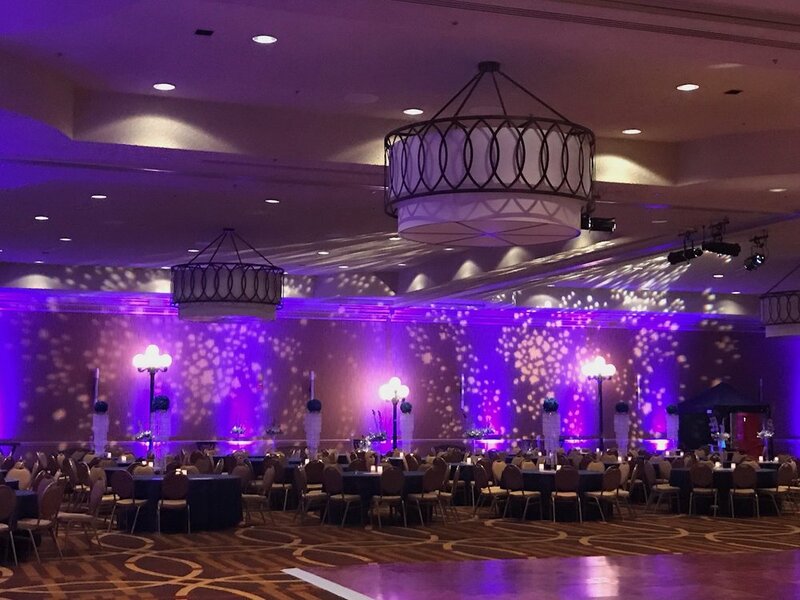 We included gobo lights that were projected on every wall, accented by our wireless, LED custom color uplighting! Brad had a quick turn around from a wedding ceremony + reception on Friday night at Mint Springs Farm to Franklin High School's prom on Saturday night. A classic spin for a modern day dance party, this group of students requested some Top 40 Hits, but they also requested classics from Motown to Dancing Queen. There was a lot of singing along, jumping around, and some crowd surfing among the student body crowd. This was a special evening for Brad, as it was his daughter's last prom with Franklin High School! The night came to an exciting close with a balloon drop onto the dance-floor to hits from Chris Brown. We had so much fun again this year and look forward to many more years of partnering with Franklin HS for prom! Snyder Entertainment's own Brian Snyder headed up this celebration of 8th grade Graduation at Sunset Middle School in Nolensville. 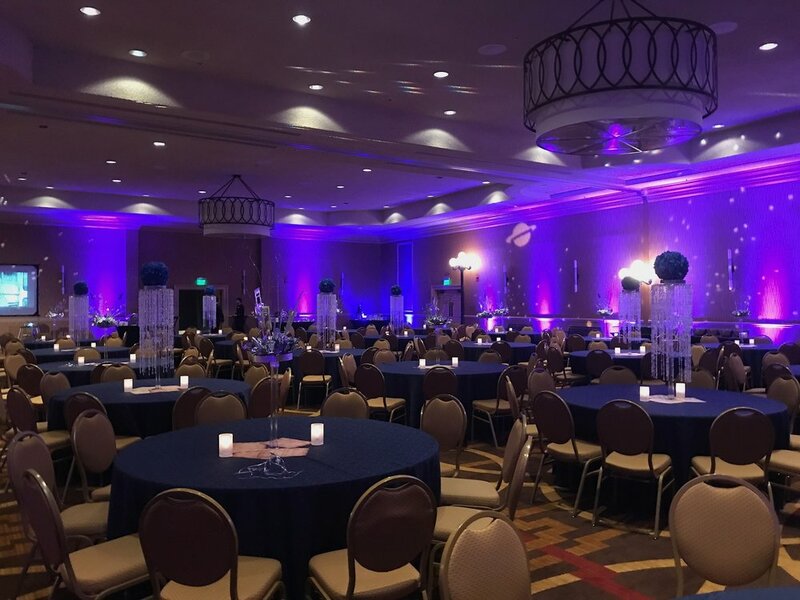 We transformed the gym through the use of up lighting, monogram lighting, and dance floor lighting! 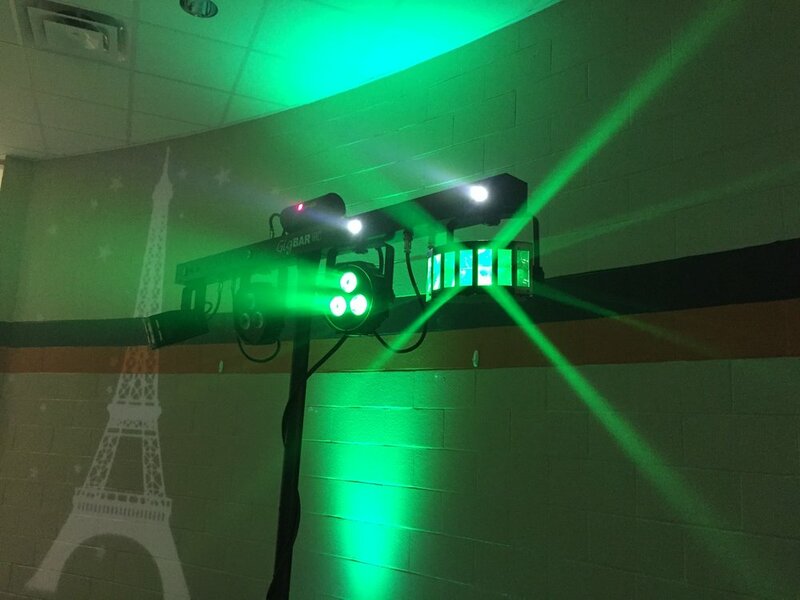 An event that was totally donated by parents, the theme for the evening was "A Night in Paris." The night began with awards, recognizing all of the 8th grade students for their accomplishments, followed by presentations, and applause from proud parents. The night ended with a couple hours of dancing and celebrating with friends! Partnering with Sunset Middle School is always a lot of fun, and we look forward to continuing our wonderful relationship with them! Hello! Nashville is one of our favorite local and most prominent partnerships! We helped them produce a Country Fair type experience for Hewlett Packard. This was an opportunity to let HP’s guests and employees mingle and visit with sponsors. They won prizes, played carnival games, and just enjoyed themselves. We provided DJ/Emcee services to keep the music going all night, and a variety of our new and exclusive lawn games. We brought our brand new corn hole boards, ladder ball, horseshoes, and life-size Jenga which was the big hit of the night! It was a fantastic event and we look forward to continuing our strong relationship with Hello Nashville! If you're ready to book your upcoming wedding, private party, prom, corporate event, or celebration with Snyder Entertainment then please contact us today to start planning + producing your event.